A tragic car crash that killed a young man and his baby son near Hevron was caused by terrorist rock attack, Israel Police chief confirms. Israel Police Chief Yochanan Danino has confirmed that the victims of a tragic car crash Friday were murdered by terrorists, Channel 2 television reported Sunday afternoon. Previously, police stated that the crash was caused by driver error and was definitely not the result of an attack. The dramatic change in approach followed a meeting Saturday night on autopsy findings in the deaths of the two victims, 25-year-old Asher Palmer and his infant son Yehonatan. Arutz Sheva has obtained a document detailing findings from the scene of the crash. Among the evidence that at first failed, for unknown reasons, to convince police that terrorists may have been involved: a hole in the front windshield of the car, a massive rock found in the front seat with human blood on it, a tear in fabric of the steeling wheel cover and dust indicating a blow from the rock, and damage to Asher Palmer's face suggesting an impact unrelated to the crash. The autopsy and a CTscan of Asher Palmer's face showed evidence of facial fractures caused by a rock. The head of the Judea Residents Committe, writer Boaz Haetzni, accused the IDF Central Command of not mandating harsh reactions to Arab rock throwing. Instead of making immediate public proclamations about how the driver caused the accident, police could have announced that terror is suspected. Police said Saturday night that while soldiers at the scene reported that they had not seen Palestinian Authority Arabs throwing rocks at drivers in the area, new evidence suggests that the Palmers may have been targeted in a drive-by attack rather than Arabs standing on the road. At least 18 Israeli drivers have reported being victims of such attacks in the past month alone. 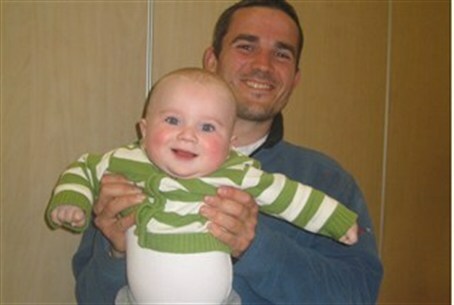 Asher and Yonatan Palmer will be buried on Sunday evening. The funeral is to begin at 6 p.m. at the Palmer family home in Kiryat Arba. It will pass by the local Hesder yeshiva, and proceed from there to the Tomb of the Patriarchs (Maarat Hamachpelah) in Hevron and then on to the local cemetery. The local council will be providing transportation from Jerusalem, with pickups at 4:30 on Bar Ilan Street and 4:45 near the Strings Bridge at the entrance to the city. Council head Malachi Levinger had similar concerns. “The question of why police changed their story in under 48 hours should be thoroughly investigated,” he said. One rock attack last week occurred when an Arab in a taxicab threw a four-pound rock at a passing Israeli vehicle. The rock landed on the road several inches ahead of the vehicle.